Intelligent supply chains will be a game-changer for healthcare. Big data analytics are transforming care delivery. The U.S. healthcare landscape is shifting and causing providers to revisit their care delivery models. Fee-for-value instead of fee-for-service, physician shortages, digitization of healthcare and shifts toward outpatient services are challenging conventional care models. Care providers must utilize data to create information and information to create intelligence, and then use new that intelligence to drive decisions. Manufacturing supply chain management covers the entire process from raw products, services and interactions through to the end customer. Healthcare supply chain management covers the entire process from raw products, services and interactions through to the end patient. Four primary levers must be effectively coordinated and integrated to improve organizational, operational performance: buy (purchasing), make (operations), move (logistics) and sell (marketing). When these functions are linked, supply chains work extremely well. When they aren’t, this pattern encourages excessive outsourcing. Linking the supply chain level is essential. This is the case whether we are talking about manufacturing supply chains or healthcare supply chains. Buy: Purchasing, e.g. goods from suppliers (supplier). Make: Operations, e.g. operational functions for the organization (manufacturer). Move: Transporting, e.g. the logistics of shipping products to the right place (wholesaler). Sell: Marketing, e.g. linking what customers need and want (retailer). Buy: Sourcing, contracting, e.g. optimize health networks (care contractors). Make: Manufacturing equipment, e.g. CT Scanners, prosthetics and lab equipment (manufacturer). Move: Hospitals provide care, e.g. nursing homes, urgent care centers and patient-centered medical homes (providers). Sell: Insurer health plans, e.g. health benefit and plan offerings to members (insurers). How do you know if your organization is building new strengths within your healthcare supply chains? Has your organization created sufficient scale for care delivery? Do you focus more on the outpatient (retail) than inpatient? Are there direct-to-consumer and direct-to-patient products offered by your organization? Do you look past episodic costs to end-to-end healthcare supply chain costs? Is data standardization the norm, offering insightful, intelligent analytics on care delivery? Have you clearly identified the top five partners in your healthcare supply chain? Has the scope of products been expanded to improve logistics and lower the cost-to-serve? Has your organization moved from a business-to-business model to business-to-consumer model for care delivery? Is leadership educated about the financial differences between the inpatient cost-to-serve and the cost for remote monitoring, such as telehealth capabilities? How do healthcare organizations achieve operational performance? The answer is we get creative and look to innovation in other industries. Is your organization operating as healthcare supply chain? There are three simple checks that determine if you’re an organization that's running as a manufacturing supply chain: customer relationship management (CRM), supply chain management (SCM), and supplier relationship management (SRM). Three different but similar questions offer insight into whether your organization is operating as a healthcare supply chain. Does your organization have a patient relationship mangement (PRM) system focused on the downstream interactions between the provider and the patient? Focusing on: market, price, sell, call center and order management. Is the organization running a healthcare supply chain management (HCSCM) program focused on internal processes and operations within the organization? Focusing on: strategic planning, demand planning, supply planning, fulfillment and remote care services. Are processes and programs in place around payer relationship management (PE-RM) to focus on keeping the patients upstream and coordinating care? Focusing on: sourcing, negotiating, buy, design collaboration and supply collaboration. There are many parallels between the advancements in supply chain management and healthcare management. In my next two articles, I'll elaborate on each of these similarities and explain the correlations. 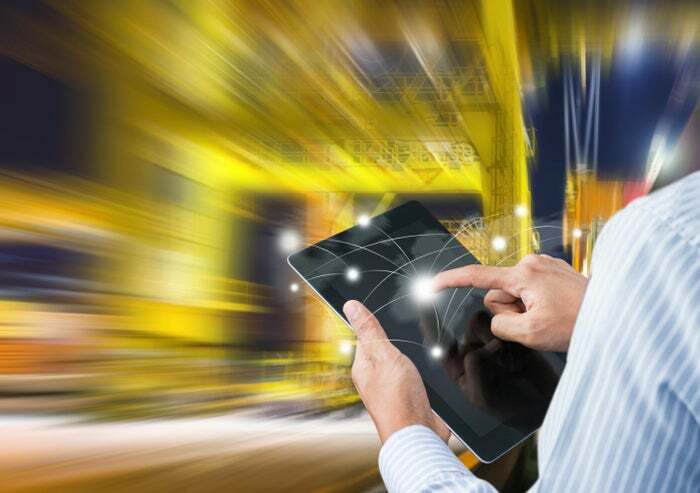 Are you interested in the next generation of supply chain management and big data analytics? Innovative companies are connecting purchasing, operations, logistics and marketing through blockchain technologies. This offers customers, suppliers and producers something they didn’t have. Truth, not just trust, in their supply chain. Healthcare delivery systems are taking notice. Why invest in data analytics (DA)? DA is the first step toward a healthcare supply chain, and data is critical to understanding disease.